We're a beer-loving company, but we also try to be thoughtful about our impact on our community and surroundings. 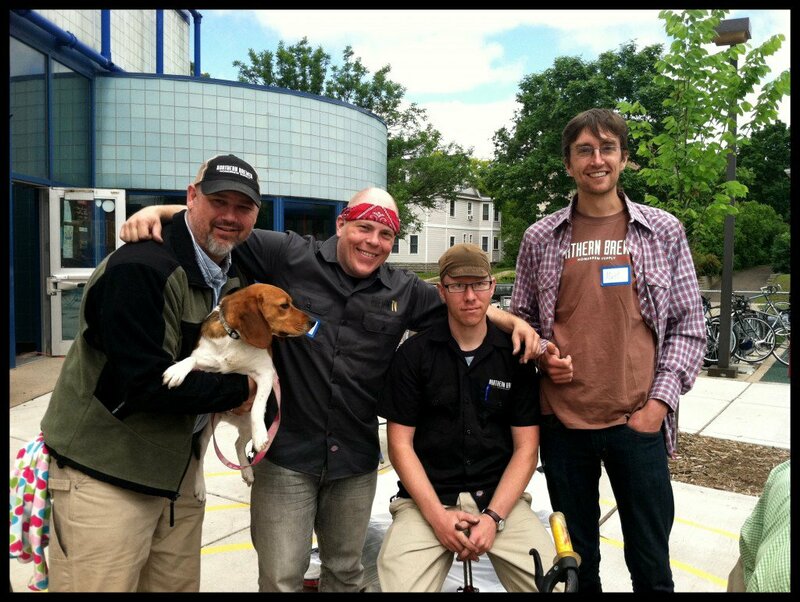 In that spirit, Northern Brewer has recently been recognized in several different venues for its promotion of employee biking, busing, and carpooling. The article from nicely highlights our biking programs and incentives. In the past couple of years we've installed bike racks and a repair stand with tools, started a bike-to-work program that includes reimbursement for small bike-related expenditures, and organized fix-up days, where employees can bring their bikes in for a free tune-up after work. A Bicycle Friendly Business award from the League of American Bicyclists recognizes our efforts to promote employee health and reduce traffic through biking to work. 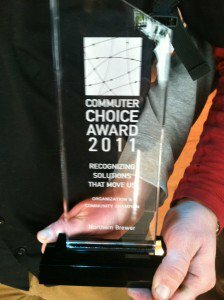 And just today we were awarded the Commuter Choice Award for Organization and Community Champion. We were chosen both for our employee biking programs and our community outreach, such as volunteering at neighborhood bike events, fixing bikes for kids, and teaching safe riding skills to children. Cheers to all the bike commuters, bus riders, and carpoolers out there!